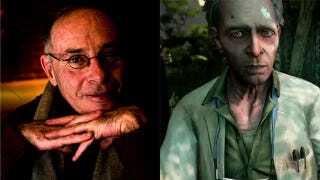 Martin Kevan, who played the crazy Dr. Earnhardt in Far Cry 3, passed away on May 1 following a brief battle with cancer. Born in 1947 in Kenya, Kevan's family moved to England and then Canada, where he began a long and successful career in TV, theatre and books. Martin is survived by his mother and brother.